CATERPILLAR - Shoes, Bags, Clothes, Watches, Accessories, CATERPILLAR - Fast delivery with Spartoo Europe ! CAT Footwear creates collections of authentic and durable boots for men, women and children inspired by work-wear. The legendary Colorado model, introduced in 1991, became a style icon in the 90s and is still a pair of authentic, iconic and trendy boots! Caterpillar has always been a leader in the construction of innovative products. 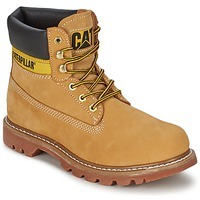 That's why over the past few years, Caterpillar boots have become the high top shoes and boots that everyone want in their closet. 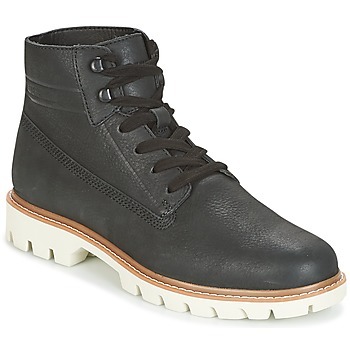 These mid boots were first developed for workers, then little by little gained a place in urban fashion. 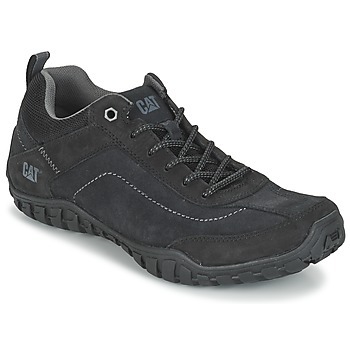 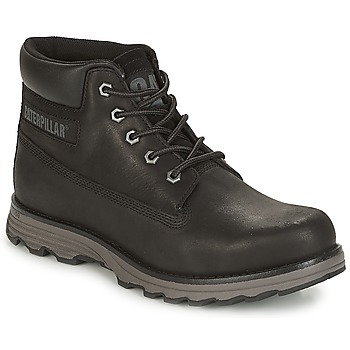 Today Caterpillar shoes are worn on work sites as well as in the clubs, and can adapt to any situation. These mid boots are known for their fine grain leather upper, non-slip rubber sole and yellow logo. 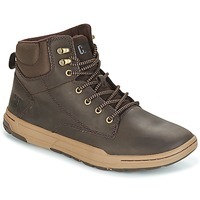 Today Spartoo has a selection of shoes for men and women from the brand, including the iconic Colorado model which is also available in black and many other colours. The American brand wants everyone to find what they are looking for, so they developed boots for kids, men and women at the best value for money. 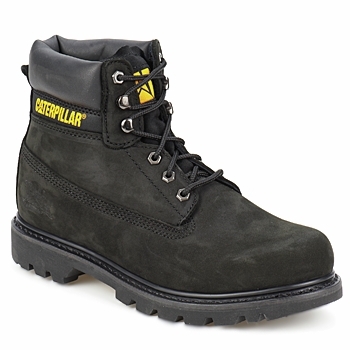 Each model has a rubbersole that resists anything, proof that you can wear Caterpillar for years, in town or in the mountains, and they will take the shock. 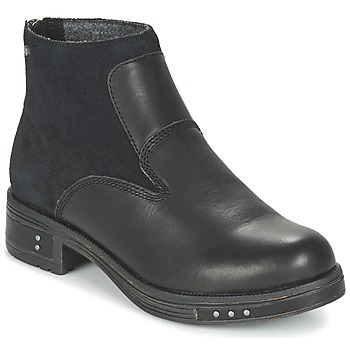 And each season the brand expands their catalog and offers new models with the same great quality yet in line with current trends, such as the Ottawa boots for women that have feminine style with a high heel while remaining robust and durable. 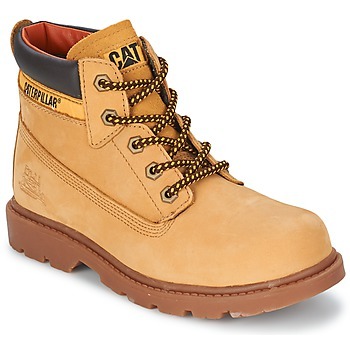 You can also get noticed with a pair of CAT Colorado boots for women that have been given a feminine touch by the brand with trendy patterns. 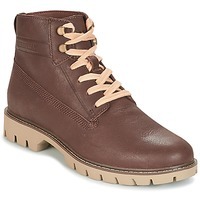 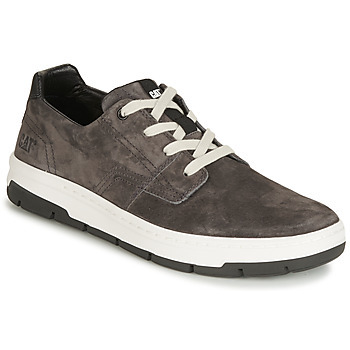 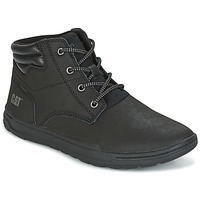 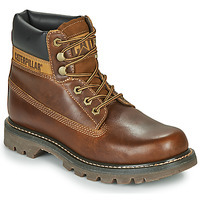 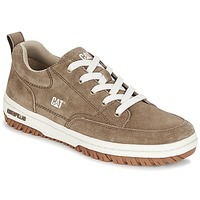 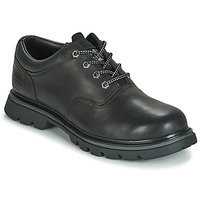 And men will find what they are looking for with dozens of men's Caterpillar shoes online that are perfect for those looking for durable boots. 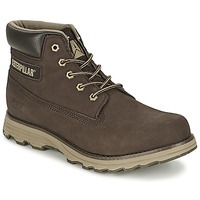 If you like to surf the internet looking for the best deals then you won't be disappointed by the site Spartoo.eu. You can easily do your online shopping onour site thanks to our large selection for women, men and children. 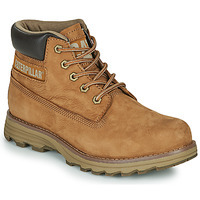 Find a cheap Caterpillar model during our sales where we have great discounts. And if you are a fan of shoes and you want a new pair of boots for your wardrobe, have a look at the collections of Timberland shoes, Red Wing or Palladium shoes because they are also handsome, high quality shoes.